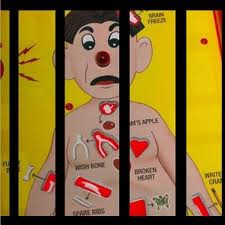 Art Caplan has a good article in the current American Journal of Bioethics about using prisoners as sources of organs. He discusses both whether organ donation and execution should be joined, and whether prisoners should be offered early release in return for a kidney. He says — and I wholeheartedly agree — no, nein, nyet, non, no way! Youza! But what about promising clemency for a kidney? In addition to worries about compensation, the question of free choice clouds the issue of prisoner consent (WMA 2005). Many maintain that prisoners cannot consent freely, given the nature of the environment in which they live. The vulnerability of prisoners in terms of coercion and manipulation is explicitly acknowledged in their categorization as a special population for whom informed consent may be compromised in regulations governing prisoner participation in research (National Institutes of Health [NIH] 2011). The ability to comprehend the facts about donation and to make a voluntary choice must be carefully weighed on a case-by-case basis if voluntary consent is to remain a key component for obtaining organs from all living persons. The waiting list for organs has some advocates pushing heavily for increasing the already too utilitarian mindset of contemporary bioethics. But our great empathy for people waiting for the “gift of life” should not induce us to cross ethical and moral lines that loosen the “dead donor rule,” open up the prospect of killing for organs — as in advocacy for “redefining death” to allow the harvesting of cognitively devastated people. And since even the worst prisoners retain intrinsic human dignity, they too should not be looked upon as a mere natural resource ripe for the harvest. Caplan has done a service by keeping his eye on this important ethical ball.